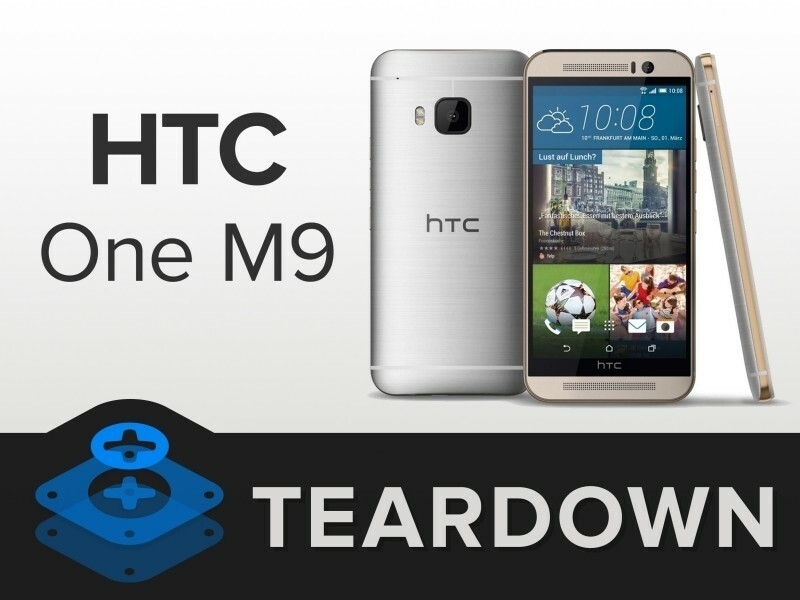 The teardown specialists at iFixit recently got their mitts on the brand new HTC One M9 and right out of the box, the team ran into trouble in the form of a significant scratch on the screen and a dead pixel. That’s certainly not the ideal way to start an in-depth analysis, but will the rest of the phone have enough redeeming qualities to overcome this obvious lack of quality control? Getting inside the chassis wasn’t too terribly difficult. Once open, it is revealed that HTC did a slightly better job of keeping things clean and accessible compared to the M8. Accessibility and removability are two different things, however, as the motherboard in the M9 is glued down on top of the soft battery. The unit came out but not without a good bit of gentle prying. The thing to keep in mind here is that the battery is incredibly difficult to get to (for replacement purposes). It only got more complicated from there as iFixit had to apply heat to free up two strips of sticky adhesive that prevented them from removing the LCD. All said and done, iFixit awarded the HTC One M9 a repairability score of two out of 10 (the higher the number, the easier it is to repair). The device earns negative marks due to the battery and display being so difficult to access and remove. Points were also docked for the super strong adhesive HTC used which could make several components dangerous to remove and replace. Of course, HTC is well aware of all of this (they built the thing, after all) which is why they extended their Uh Oh Program to include their new flagship. If the phone breaks at any point during the first 12 months of ownership, the company will replace it free of charge.